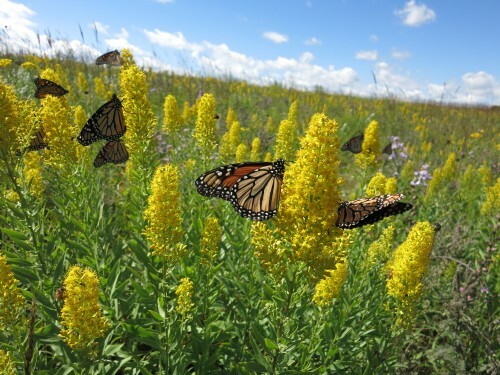 Description: In 2014, Alli Grecco developed and implemented a project to characterize the composition and abundance of plants that flower in 5 remnant prairie Echinacea populations. 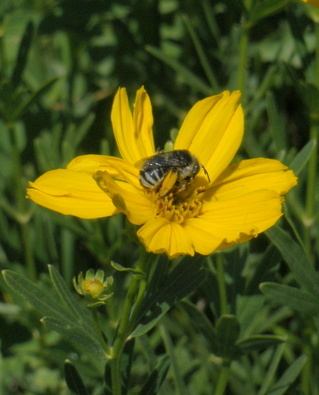 During her community surveys, Grecco identified 32 co-flowering species. This dataset will be used to describe variation in flowering communities both between and within sites over time. Products: Preliminary dataset is located in Alli Grecco’s Dropbox folder. Dataset needs to be made readyR. A quick list of flowering plants I noticed while assessing phenology in Jennifer’s experimental plot at Hegg Lake WMA on 10 July. I list only plants observed in the plot. Asclepias speciosa is flowering just outside the SE corner of the plot. No Phlox pilosa in the plot! Here’s a list of plant species that flowered within 2m of a flowering Echinacea plant that we observed last year. The list is sorted by the count of inflorescences we counted. 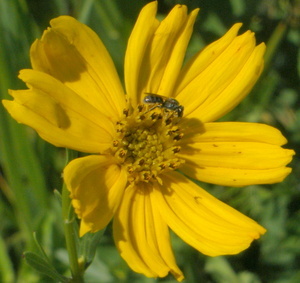 Species in the Asteraceae are highlighted. fnc10mNeighborhood.csv and within 10m floral neighborhoods fnc2mNeighborhood.csv. The first is just a reorganization of FNC.csv and the second includes info from FNC.csv and from WITHIN10M.csv. Here’s some of the work I’ve done with organizing my data. I still need to figure out how to organize it to be able to analyze it, so this is mostly just preliminary work. I have about 2 weeks to put this all together….any help/advice is appreciated because right now, the data I have is a little overwhelming. There are 3 sheets in this document. >If you reach 100 when counting inflorescences, stop and record >100. >When recording the species within 10m, you will no longer put this into a memo. Instead you will always select pl A, record 0 for infl ct, and in the field of quadrants, select the fifth option called “within 10m”. >Review the guide to co-flowering sp for how to count infl or print one up and ask me if you have questions. >If you come across a new species that isn’t in the list of species in the form, record in the notes not only the species but also a brief description of how you counted inflorescences. 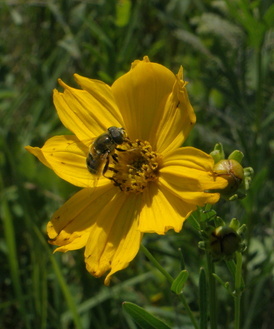 Here’s some of the pollinators I saw on Coreopsis near Hegg Lake. 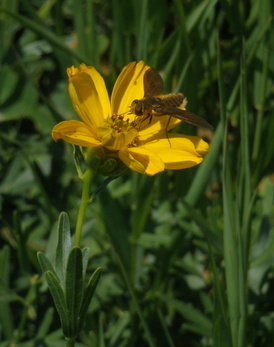 They seemed to only be pollinating Coreopsis although there were other species like Achillea, Amorpha, and Echinacea around. I have a photo guide but I can’t upload it b/c the file is too large. If you plan on helping with FNC, please read the documents above. It’s important that everyone counts inflorescences the same way. Thanks! >Please make a note if you see ants on the head of the plant you are observing. >Also make a note if it is mostly cloudy. >Try to get to your site with about 10 min to spare so you can get your supplies ready and orient yourself with the placement of the flags to avoid time spent wandering in search of flags. >Please try to start your observation as close to 8am as possible. End at 11am. Do not start an observation if you can’t finish by 11. >Remember that you will only be collecting styles at the end of the observation pd from now on. Clean your tweezers with your shirt in between collections.